In AmeriCommerce online stores, your products can show multiple upsells, cross-sells or both. 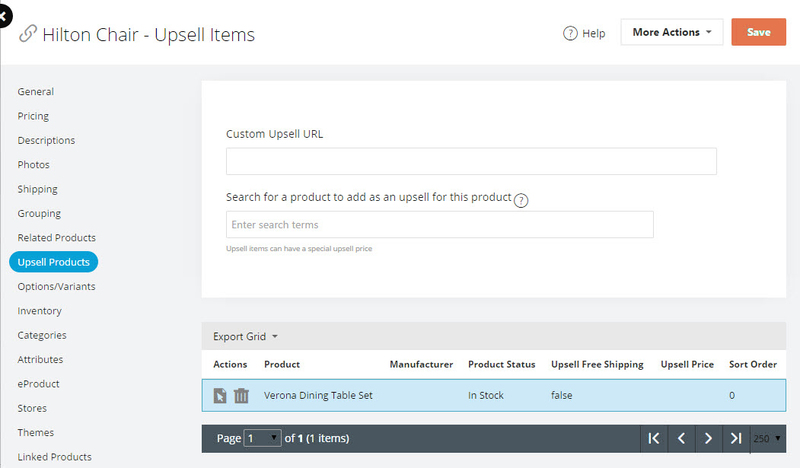 You can add Related Items to a product using either the Product Editor or the Product Import. In the Product Editor go to the Related Products tab, and search for the products you'd like to relate. 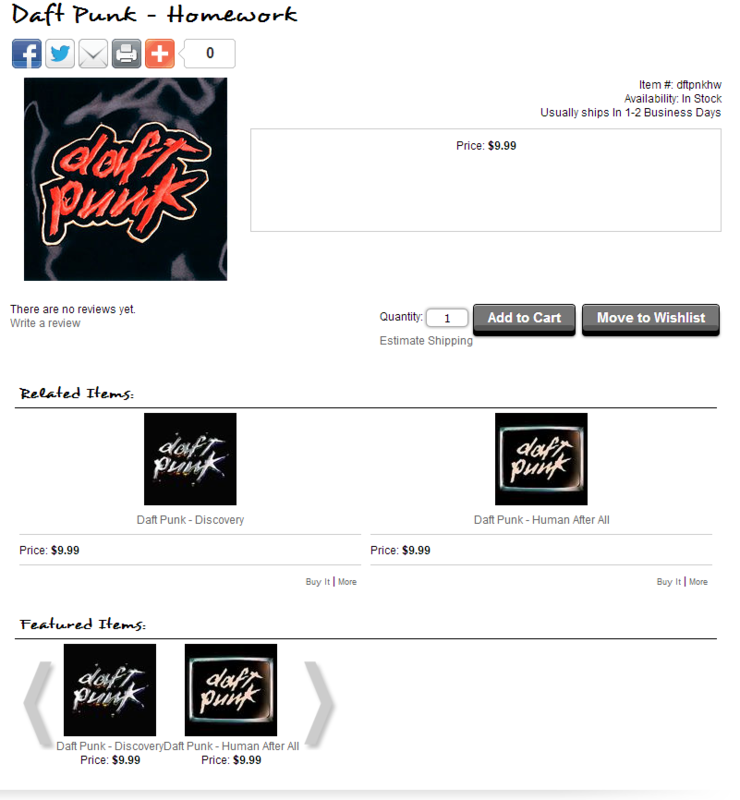 To show Cross and Upsells on the Product Details Page, add either the Product Display or Carousel widget to the page. This will also cause the Show Upsell Products setting to appear. This allows you to choose what to display. You can choose Upsells, Cross-Sells or both. The default is to show both. Note: The Carousel widget does not have this option and defaults to showing both. This page allows you to show Related items or anything you choose after you click Add to Cart on a product. To enable this, go to your Global Theme Settings and find the Show Upsells When (May We Suggest) setting. 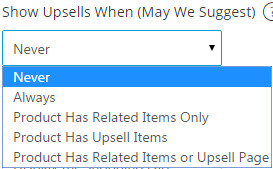 If you want to offer an Upsell Item at a discount, navigate to the Upsell tab in the Product Editor. Edit here and change the price. The Product Display widget has a special Product Display type that is you can use on the Shopping Cart page. This will show Related Items for the items in the cart. 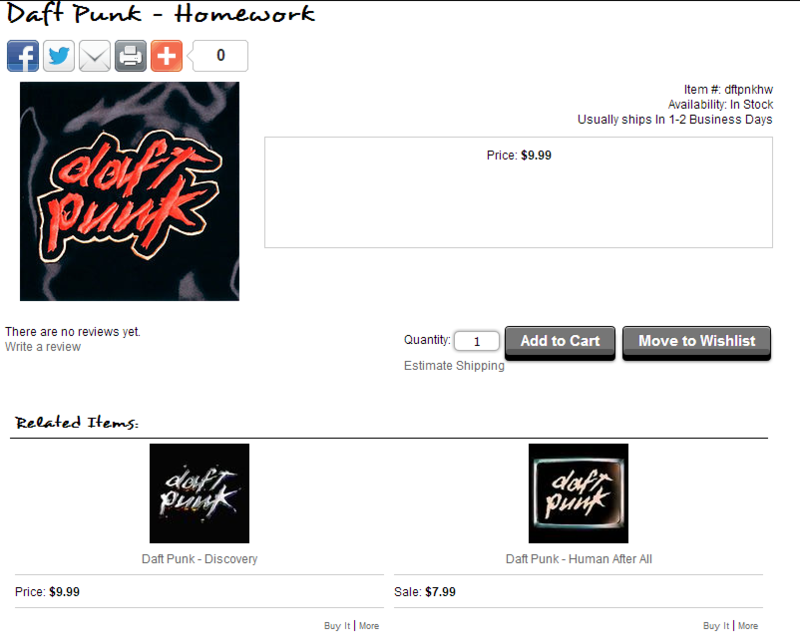 To use this, you'll need to go to the Shopping Cart page in your theme and add a Product Display widget to the page. 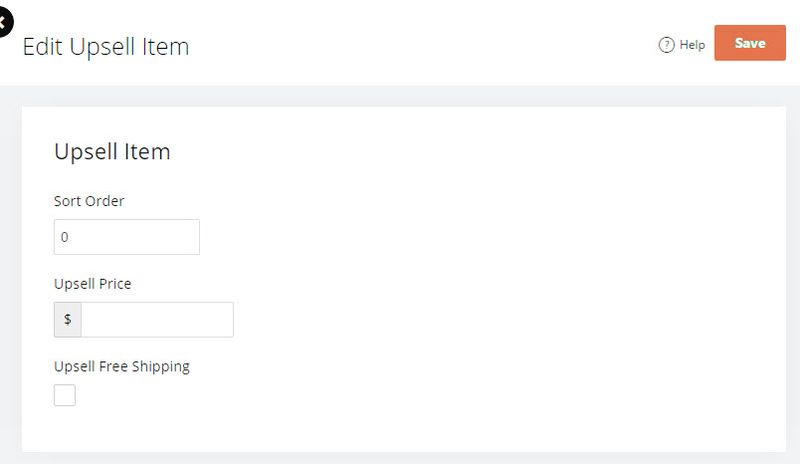 Click the settings icon for the Product Display widget, and set the product display type to Related Items From Cart. This is the same as the Show Upsell Products​ setting.